Apple’s smartwatch line is considered to be one of the most popular gadgets of the Cupertino company — and the most innovative! From being a fashion accessory, it gradually made a mark under essential health gadgets featuring life-changing functions such as ECG to measure heart rate and even detect atrial fibrillation or irregular heartbeat. Which is why Apple analysts believe that the next edition of the successful smartwatch is something that people should look forward to. 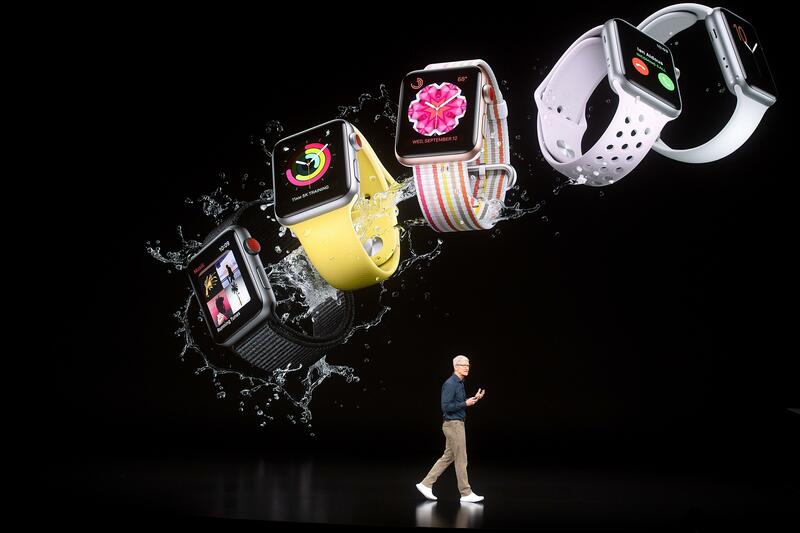 Now dubbed the Apple Watch Series 5, the next edition Apple smartwatch is expected to add more health functions for the conscious wearer. The most anticipated is the sleep-tracking function, which is useful for people who have trouble sleeping since they will be able to determine just how long they get to rest and use data gathered for a more comprehensive diagnosis. Having this function will, of course, require some longer power juice, so we’re thinking that the Apple Watch 5 could have some exciting battery upgrades. Another surprising speculation of the next smartwatch is a supposed “smell recognition” capability. According to Inverse, an Apple patent application published by the United States Patent and Trademark Office last month shows an exciting AI engine that can configure smells. The said technology, which comes as a small sensor, will be able to detect air pollution and other airborne chemicals. If successful, it can even detect abnormal body odor, spoiled food and hazardous gases in the atmosphere. Aside from these, the said sensor can determine sugar levels by analyzing the wearer’s sweat. If this comes to light, then it could also mean that Apple is seriously considering wrist strap sensors to complement the function. Interestingly, another patent application published by the USPTO early this year shows that Apple could be working on incorporating advanced motion sensors into the next Apple watch. This way, wearers no longer need to tap their screens or push a button to activate their smartwatches. As for the price, with all the possible additional health features, we can expect another increase for the Apple Watch Series 5. Per some reports, an additional $20 to $30 might be in order for the watch that’s expected to release this September. Apple Watch 5 To Have Biometric Security Functions?